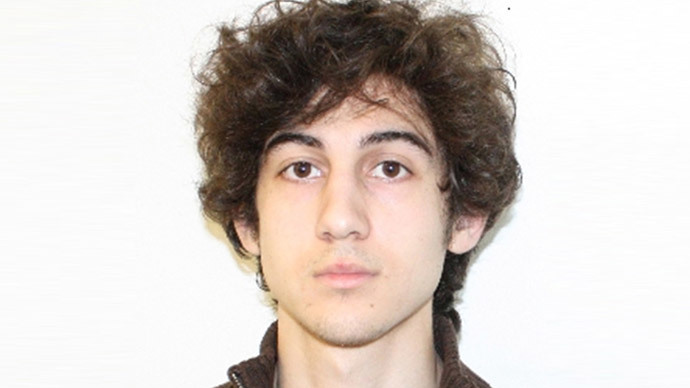 ​Lawyers for accused Boston Marathon bomber Dzhokhar Tsarnaev have petitioned Massachusetts to move the trial out of state, claiming the juror pool in Boston is already biased against their client. As part of their court filing, the team used a poll carried out by a hired venue expert to determine the likelihood of a fair trial. Surveying four locations, Boston; Springfield, Ma. ; New York City; and the District of Columbia, the expert determined Washington would provide the most impartial jury. 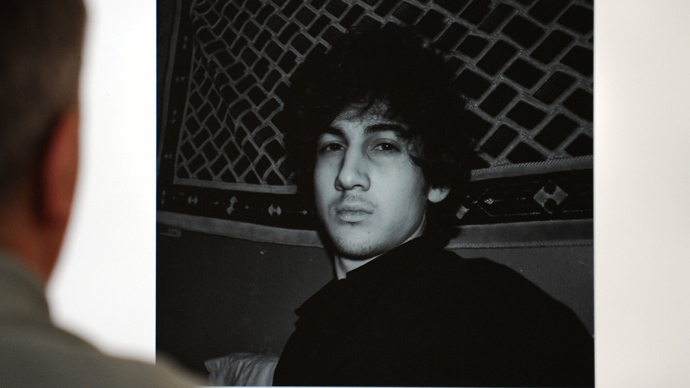 Only 37.4 percent of DC residents believe Tsarnaev is definitely guilty, compared to 57.9 percent in Boston, according to the expert’s findings. The percentage of potential jurors in Washington who know someone who participated in the marathon is also significantly lower, standing at 5.6 percent in comparison to Boston’s 49.3 percent. Tsarnaev’s lawyers claim local media coverage of the bombing and its aftermath play a large role in the vast differences. Replaying of video from the scene of the explosion, interviews with victims and footage of “a wounded and bloody Dzhokhar Tsarnaev climbing out of the boat in Watertown” contribute to the hostile attitudes of locals, the filing said. The Boston Strong slogan, merchandise and advertising are also cited as adding to the biased climate. 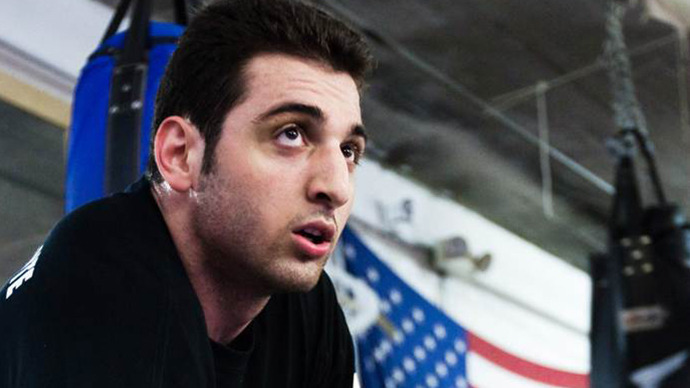 The younger brother of Tamerlan Tsarnaev, who was killed in a shootout with police several hours after the bombing, Dzhokhar is facing 30 federal charges for using a weapon of mass destruction as well as the killing of a Massachusetts Institute of Technology police officer. Born in Kyrgyzstan in 1993, he was the youngest in his family and would move to the Dagestan region of Russia before relocating to the United States in 2002. He became a naturalized citizen on September 11, 2012. Prosecutors have attempted to use his naturalized status against him in the ongoing proceedings, claiming he betrayed his adopted country. A federal judge, however, reprimanded the government attorneys this Wednesday for their attempts to distinguish between a naturalized and a natural-born citizen, calling the move “highly inappropriate,” WBZ reported. Prosecutors say that on April 15, 2013, the young immigrant placed two improvised explosive devices, common pressure cookers turned into bombs, near the finish line of the Boston Marathon. The devices detonated 12 seconds apart as runners were crossing the finish line, killing three spectators and wounding hundreds more, many being severely maimed. Local law enforcement and the FBI quickly went into action, searching closed circuit surveillance footage and spectator recorded videos for evidence. They soon focused in on the Tsarnaev brothers, launching a massive state-wide search and warning residents to stay in their homes. The duo made their way to the campus of MIT, where they struggled with and then shot 27-year-old campus police officer Sean Collier. 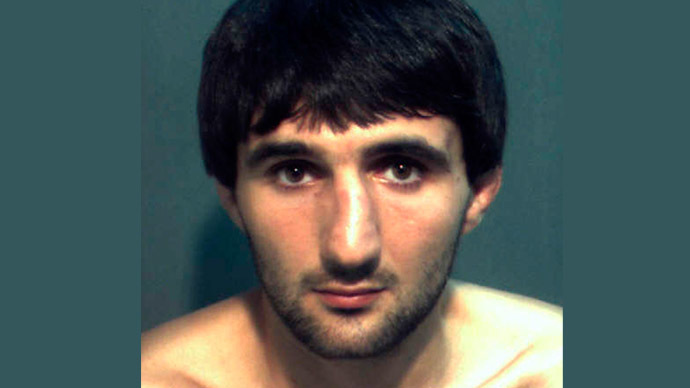 Stealing two SUVs, the brothers eventually reached Watertown, Ma., where Tamerlan was killed—run over inadvertently by his own brother—and Dzhokhar was later captured hiding in a boat. Media outlets doggedly covered the dramatic events, showing photos of the brothers nearly nonstop during and after the manhunt. Footage of the capture was also looped nearly endlessly for viewers to watch again and again. 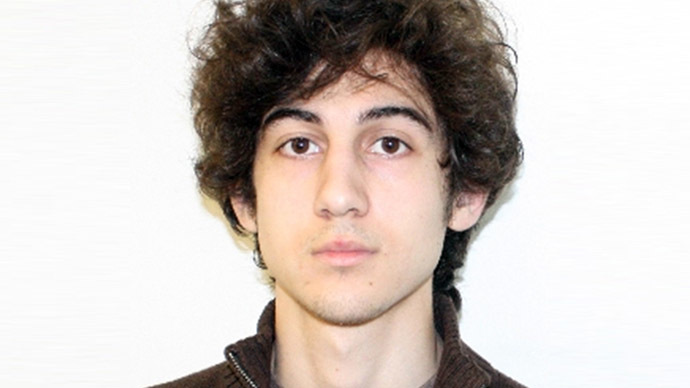 Defense lawyers believe this is one of the reasons a fair trial can’t be conducted in Boston.